Protecting wild animals and wild spaces is a battle. In some corners of the world it is an actual war zone, and I cannot adequately express how much I respect and admire everyone on the front lines of those conflicts. But even in less personally life threatening scenarios, we struggle to make sense of how this world can sometimes be so cruel. From actual disregard for the environment and animal life, to genuine accidents that highlight the tragic consequences associated with human encroachment on wild environments; every day presents a new challenge. Regardless of what battle you enter into…it’s always better to lock arms with an ally and fight together to accomplish bigger and better goals. In the fight to save sloths and return them to their jungle homes, we have decided to lock arms with the amazing staff at Toucan Rescue Ranch. Hearing the name…you may wonder what a toucan center and a sloth center have in common? But don’t let the name fool you! Toucan Rescue Ranch started with Toucans, but has actually been working with sloths for over 15 years. We work together, every day, to rescue, rehabilitate and release sloths that have been negatively affected by devastation to their environment. We make a great team combing excellent medical care, scientific research, field work and unwavering dedication to saving these animals and getting them back where they belong. Our partnership means that every sloth we care for receives the very best rehabilitation team and the very best scientific team to heal them and get them back to the wild where they belong. In addition we are able to learn from each patient and add to our ever growing data base on sloth behavioral ecology which ultimately helps entire populations survive in this ever changing world. As the next year begins, it is important that we all focus on what we can do to make this world a better place. By working together to save sloths and assure their conservation, we predict 2018 will be a very productive year! Here are three patients that we have collaborated on, and their amazing stories as they journey back to freedom. Rhianna was found on the ground with a broken arm and broken leg, shortly after a hurricane in a fragmented forest. We received a tip that she was out in the forest on the ground by a worker, but not much direction of exactly where. After 2 hours searching in the dark, our team spotted her and quickly got her to TRR for treatment. After multiple surgeries, X-rays and months of rehab, she is finally ready to be released and will be tracked by our team as she reintegrates back into the forest! Dory was found clinging to a mother sloth’s lifeless body at only a few months old. Growing like a weed, we originally thought Dory was a girl, but after a recent ultrasound (just to check that everything was normal inside) we discovered she was actually a he! Dory has a very independent personality, loves being in the rehabilitation tree and will soon be beginning his pre-release training at our release site. We couldn’t be more excited for how he has thrived and are even more excited to see him journey back into the home where he belongs. Moana is a young 3F sloth that was found sick — likely a recently weaned individual that wasn’t doing well on her own either from sickness or habitat change. After just a few months at TRR she was back to a normal weight for her age, healthy, and is already living back in the jungle. Being tracked by our team we see her frequently and just recently did a 90 day health check which she passed with flying colors. We can’t wait to watch her grow into an older sloth and hopefully one day become a mom! 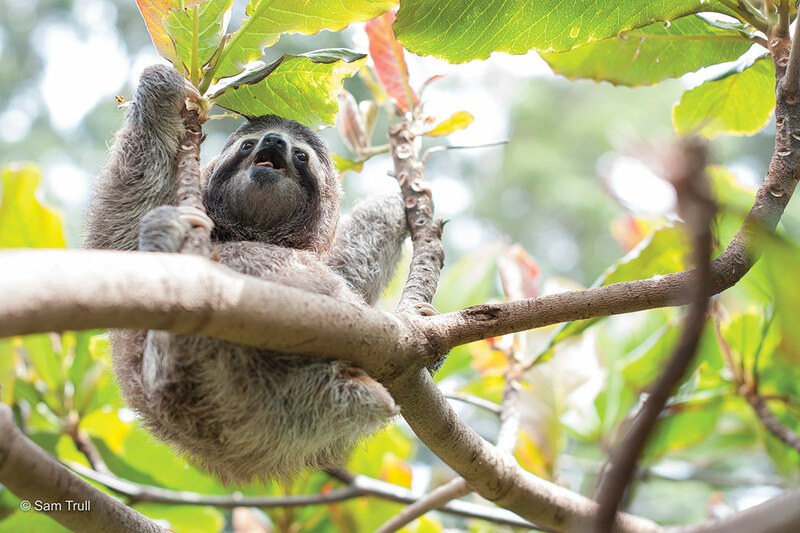 The mission of The Sloth Institute Costa Rica is to protect and enhance the welfare and conservation of sloths. 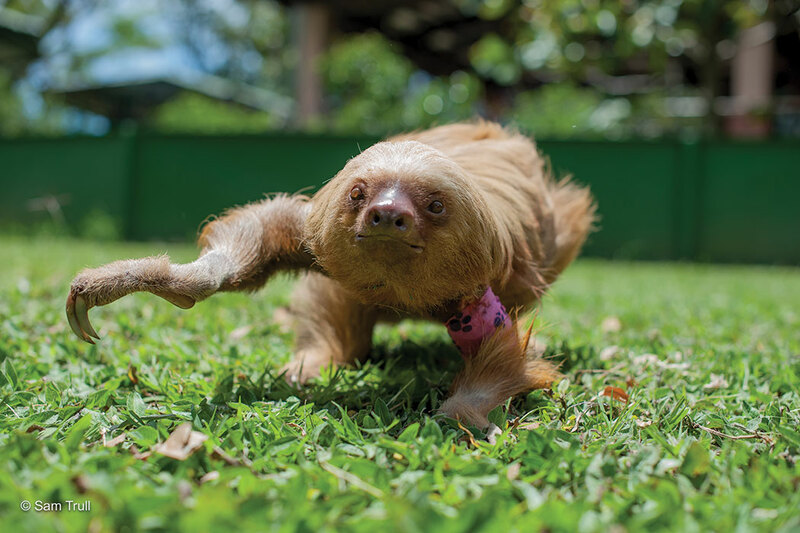 It seeks to do this through wild and captive sloths research; education and outreach; and by collaborating with sloth rehabilitation programs to assist with the release of hand-raised orphaned sloths. TSI is located in Manuel Antonio, Costa Rica. 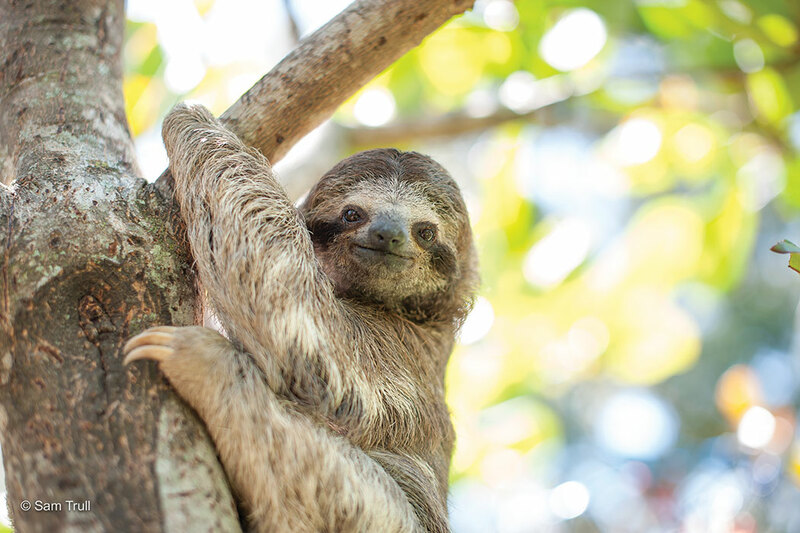 For further information or to donate to this project, email info@theslothinstitutecostarica.org or visit www.tsi.charity.org. You can also follow us on our FaceBook page, theslothinstitute.